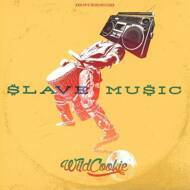 Once again singer ANTHONY MILLS and DJ/producer/soundscape master FREDDIE CRUGER aka RED ASTAIRE return as WILDCOOKIE and this time, they sound more diverse and doper than ever. This 7-track "MAXI-EP" is part soul, part Latin/Caribbean rhythms and completely bananas! Full pic sleeve.